Chic, sophisticated and charming – the Poppi Low Side Wicker Table in stylish White a terrific choice to add to your outdoor furniture set. The Poppi Low Side Table is part of the beautiful Poppi Collection which boasts a Coffee Table, Tall Side Table, and is available in both White and Black. Each of these stunning pieces feature the round, wide tabletop that is augmented by a flared base which showcases the brilliance of the outdoor wicker. Curate a space that is warm, inviting and stylish. Start with your seating, a Havana 2 Seater Loveseat and two Havana Club Chairs will start the sleek, chic ambience you are after. Personalise this urban setting with the Poppi Low Side Table in White on either side of the Loveseat, the perfect spot for placing those afternoon drinks and assisting you unwind with your best people in an attractive area that guides you to make your outdoor living space a constant place to relax! Perfect your poolside with the Poppi White Side Table next to each one of your White Summer Batyline® Loungers, setting you up for oodles of refined relaxation. Finally, this elegant Side Table looks great indoors as well! Try as an alternative to a bedside table and enjoy as it brings a refreshing energy to your space! The Poppi Collection is made from two tremendous outdoor products that look great and last long in the elements. Beginning with an aluminium frame, and finished off with outdoor wicker, you can rest easy with a table that is not only stylish but the highest quality! Design Warehouse is proud to carry a fabulous array of outdoor furniture that bears the tick of luxury and quality combined. 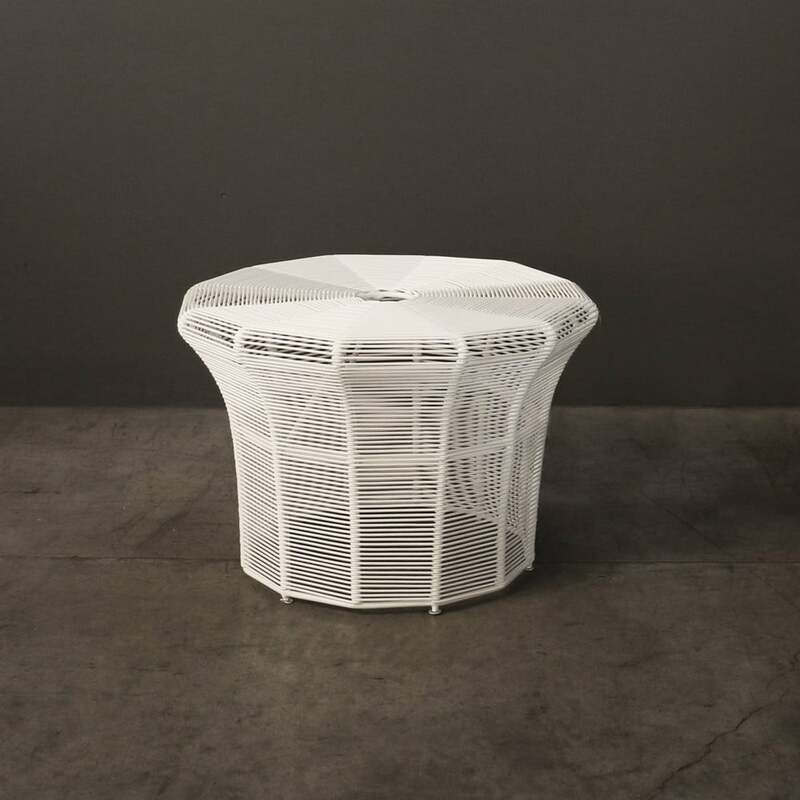 Call us today to order your Poppi White Low Side Table as well as deep seating, umbrellas, dining furniture and much, much more!